A cup of hot tea may warm your heart and a glass of iced tea may soothe you in the summer, but tea is definitely having its moment in cooking. In fact, it’s positively stepping out of the cupboard! For example, did you know that several cups of brewed tea are perfect for poaching apples and pears? Flavored teas, such as cinnamon and spice or black currant, work wonderfully for this. Brewed tea – try a nice Darjeeling or oolong – can also be used in place of water to cook jasmine rice. Dried, unbrewed Dragonwell tea leaves are delicious when tossed into your chicken and vegetable stir fry. The tea leaves impart a light, grassy flavor. Unexpected but very flavorful. Once you’ve sipped your pot of tea, you can use the still-fragrant tea leaves to stuff inside a chicken. As the chicken bakes it will gently absorb some of the tea’s delicate aroma. Oolong tea, which is a natural sweetener, can be also made into a wonderful rub for chicken and fish. Just combine a small scoop of dried tea leaves (not brewed) with salt, ground pepper, and paprika. Gently rub this mixture on your chicken or fish and then grill it. Of course, if your taste runs more to reading about tea adventures, you can always check out Ming Tea Murder, my newest Tea Shop Mystery. My main character, Theodosia, is a wonderful tea hostess who sets a fine and wicked tea table in the cozy environs of her little tea shop. The book has the pacing of a thriller and a story line that’s relevant and exciting. With a carefully crafted sense of place, many readers tell me that reading a Tea Shop Mystery is like taking a vacation in Charleston. And they’re just as enthusiastic about the tea lore and recipes that I’ve included. So enjoy! 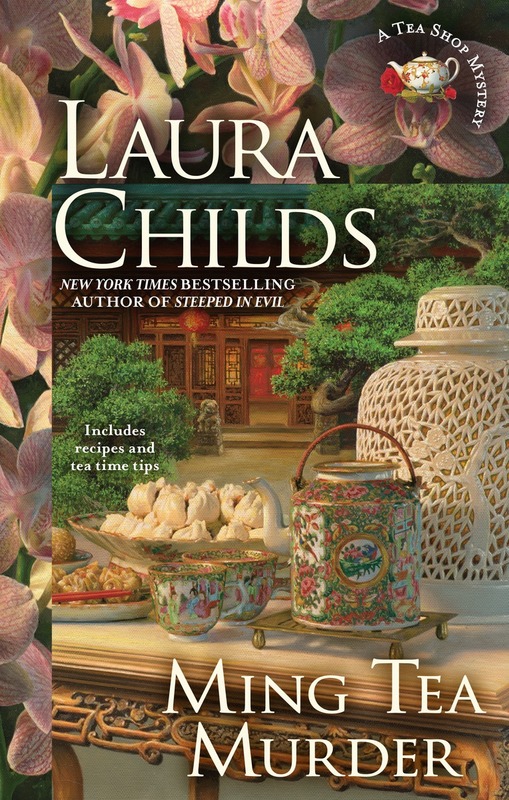 Laura Childs is the author of the Tea Shop Mysteries, Scrapbooking Mysteries, and Cackleberry Club Mysteries. 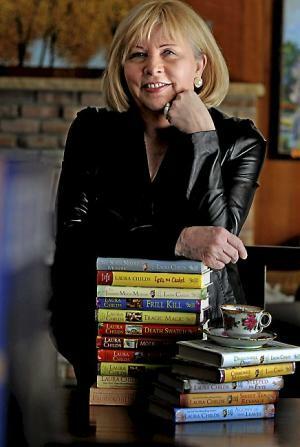 Her books have been named to the USA Today and New York Times bestseller lists and have been featured selections of the Mystery Guild’s Mystery Book Club. Ming Tea Murder is her most recent book. Ever since she was a child, Cami has loved the sparkling beauty of snow globes, and now, she sells them. 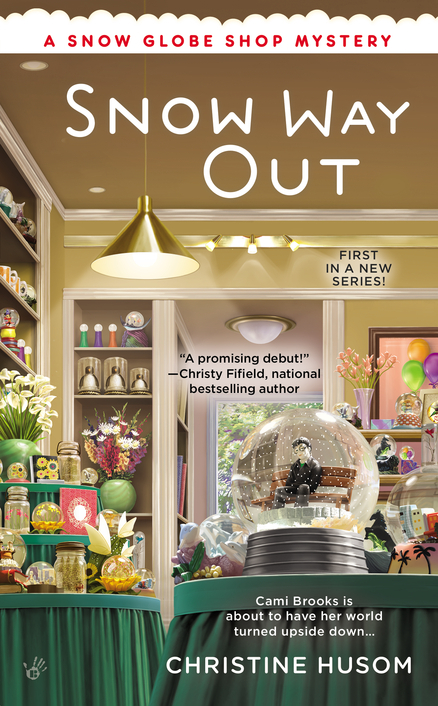 In fact, they’re so popular, Cami and her friend – coffee shop owner Alice “Pinky” Nelson – are hosting a snow globe making class. After the flurry of activity has ended and everyone has gone off with their own handmade snow globes, Cami spots a new globe left behind on a shelf, featuring an odd tableau—a man sleeping on a park bench. Snow globe making projects and tips included. 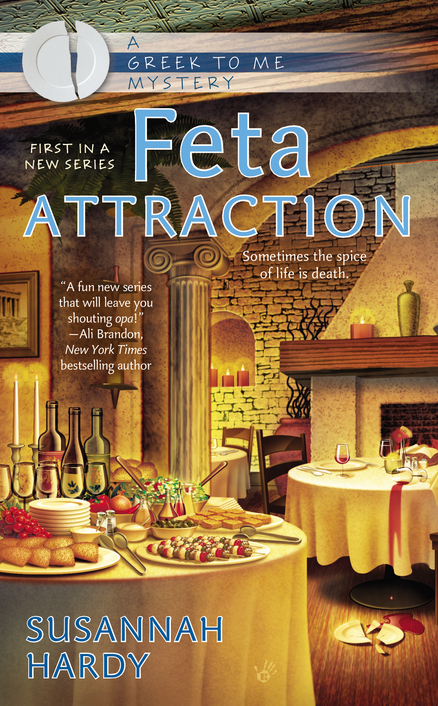 Georgie Nikolopatos manages the Bonaparte House, a Greek restaurant and historic landmark in beautiful upstate New York rumored to possess ghosts and hidden treasure. But when her husband disappears and her main competitor is found dead, it’s up to Georgie to solve a big fat Greek murder. With her husband, Spiro, inexplicably gone for days, Georgie has her hands full running the restaurant and dealing with the crew of the TV show Ghost Squad, called in by Spiro to inspect the house for haunting. So when she has a chance to take a boating excursion on the St. Lawrence River with her friend Keith Morgan, she jumps on it. But their idyll is quickly ruined when they discover the body of rival restaurant owner Domenic “Big Dom” DiTomasso floating in the water.When the police start asking questions, it doesn’t help that Spiro can’t be found—and with Georgie on their suspect list, it’s up to her to find her missing husband and find out who killed Big Dom before someone else’s order is up. Talk about a great notion! As a fundraiser to save a two-hundred-year-old farmhouse and stop an ambitious developer, the ladies of the Historical Society of Millbury, Pennsylvania, are producing a Hunky Men of Millbury calendar. Daisy is delighted to lend her support, and the female population of the village is abuzz with anticipation. But after Daisy’s close friend Cyril doesn’t show up for his photo shoot and the calendar photographer is found dead, it’s beginning to look like the days may be numbered for the men of Millbury. 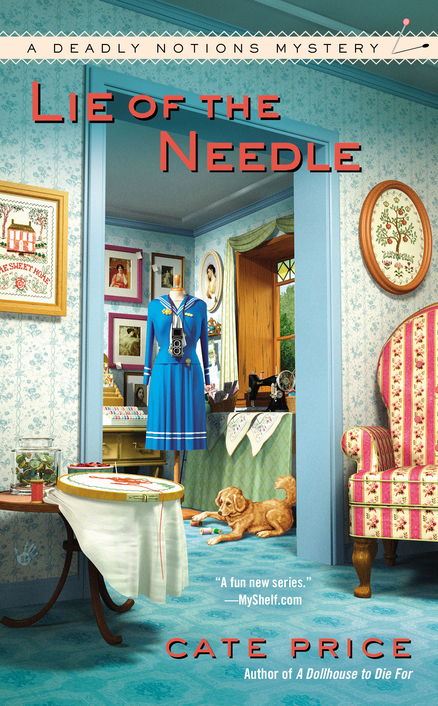 Can a cryptic verse on an antique sampler help Daisy pin down the killer before another pinup runs out of time? 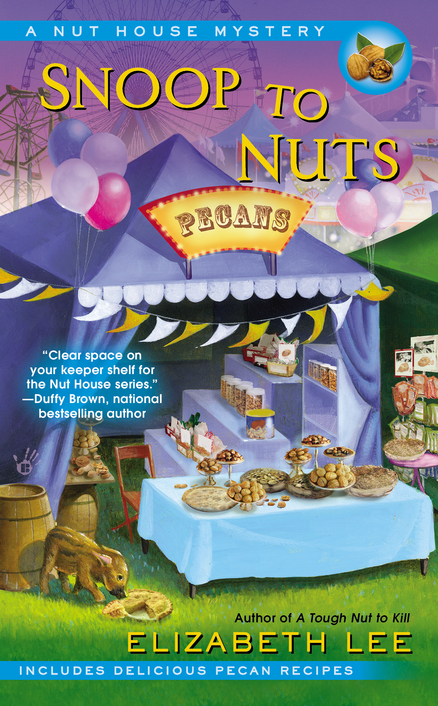 The “Most Original Pecan Treat” contest at the Ag Fair is the talk of Riverville, Texas, especially when it’s clear that Miss Amelia Blanchard’s Heavenly Texas Pecan Caviar will take home a blue ribbon. 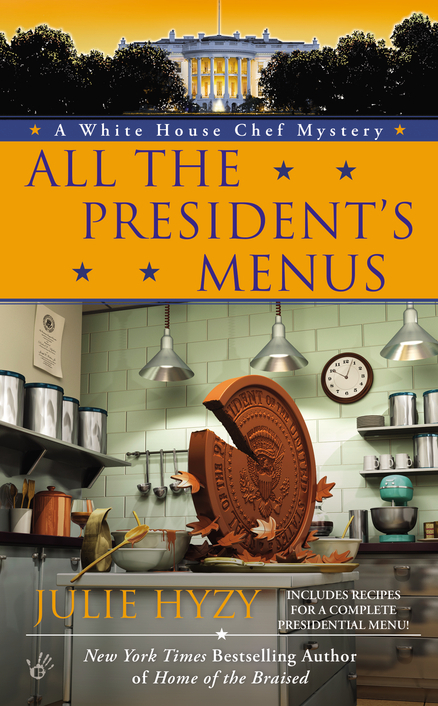 Which is why everyone is amazed when her dish doesn’t even place—and even more shocked when one of the judges, Pastor Jenkins, keels over dead, right after taking a second taste of Miss Amelia’s food. Everything is coming up roses for Florist Audrey Bloom when her dazzling creations are picked to be featured on a wedding reality show. 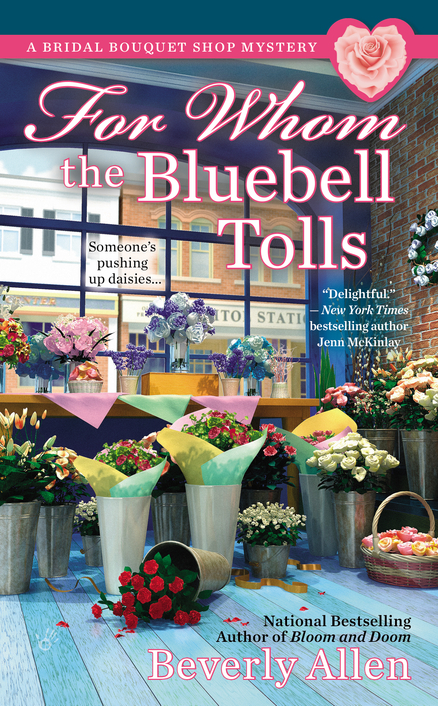 The hot series is filming an episode about a bride who’s bonkers for bells, and Audrey’s bouquets of campanulas, calla lilies, and Bells-of-Ireland are perfect for the bridal theme. Sisters Lucinda and Ricarda Ricardo—better known as Lucy and Rikki—are at each other’s throats over the family business, Roble Foods. Lucy wants to sell and Rikki is against it. 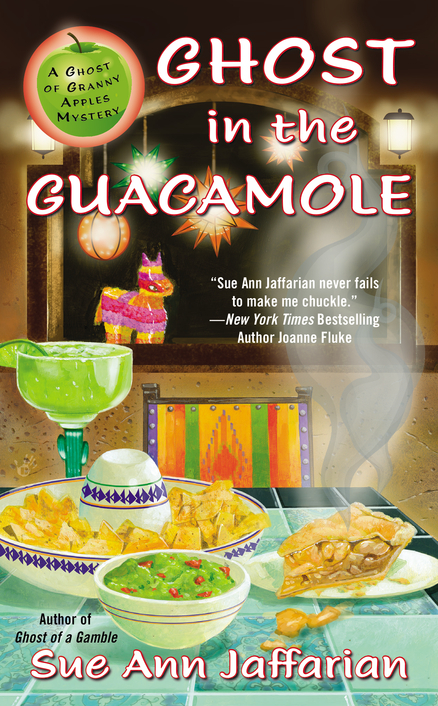 Rikki asks Emma to contact their deceased father, Felix, to help her convince Lucy not to sell.But the ghost of Felix Ricardo has his own bombshell to drop—his death was not an accident, and Rikki’s life may be in danger if the girls don’t sell. Now it’s up to Emma and Granny Apples to chip away at the mystery and stop a killer from double dipping in death . . .